GER LYNCH was just 18 when he got his first taste of heroin. Surrounded by friends in O’Malley Park, each falling into the same trap, oblivious to the insidious destruction of addiction. For Ger, 2004 was a different and darker time in O’Malley Park, wartorn by gangland feuds that spilled blood on the streets over battles of territory and revenge. And at the time, he had dropped out of secondary school four months before his Leaving Cert, and was now tentatively facing the dreaded world of adulthood. The youngest in a large family, the teenager felt alone. His father was not in the picture, his determined working class mother had two jobs on the go, and a number of his siblings were in prison. Heroin was his escape that took away the fears and anxieties that consumed his life. This survivor, now 32 and sitting in the quiet chamber of City Hall, tells this reporter how the regressive illness of addiction plunged him into a life of heartbreak, homelessness and hopelessness. Ger was a “late drug user”. He had only started consuming cannabis at 18, six months before heroin entered his circle of friends. “I pretty quickly fell into heroin addiction. The group of friends, we were all together, we all kind of fell into a trap around the same time. We didn’t really understand that it was an addictive substance, never really thought anything could control me like a piece of powder could. It’s like weed—if I wanna take it, I will, if I don’t, I won’t. It was within a short couple of months I kind of had progressed,” he says, calmly. At 18, he says, there is an expectation to “face this big bad world on your own”. He says he was apprehensive about entering this world because he felt he had no guidance. “My role models were the boys on the corner selling drugs. The people in my area who worked, we didn’t get to see them. They went to work, came home, went to bed. That really wasn’t modelled for us. What was modelled for us was the boys on the corner,” he admits. That was when Ger became a corner boy, selling bags and ounces of heroin, mainly to feed the habit that was gnawing at his life. Initially, Ger was led to believe this was an easy way to make money as the phrase “easy money” was often thrown around. “But let me tell you, there’s nothing easy about it. The working man doesn’t have to watch his back. The working man doesn’t have to think: ‘Is my door going to be kicked in tonight, tomorrow, whenever’,” the father-of-seven says. Amid this crisis, Ger was hit by two heartbreaking family tragedies; the deaths of his sister and two-month-old son, Ger Jnr. His sister passed away following a paracetamol overdose. Baby Ger died 10 years ago as a result of cot death, or sudden infant death syndrome. It was not long after these two tragic incidents when Ger had the wake-up call to fight this debilitating lifestyle. But while combating this addiction, Ger had been homeless and was under the roof of a hostel for around six years, all in his early 20s. 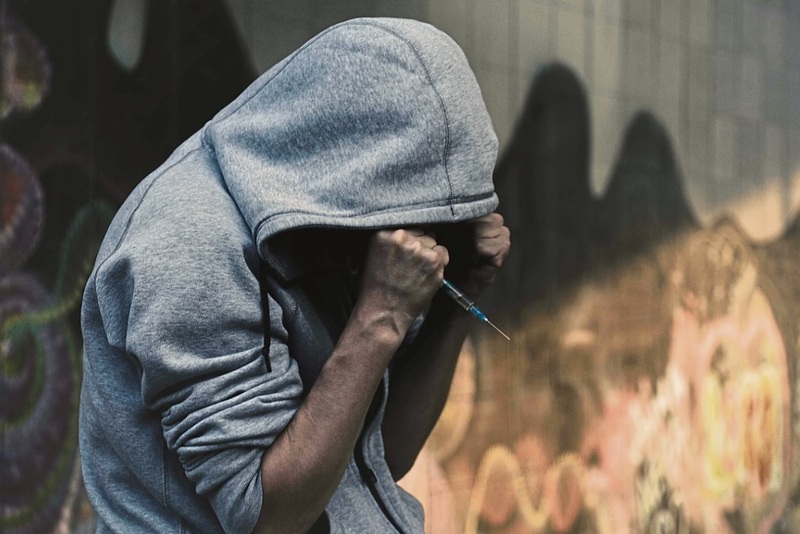 But that is when he was taken on by McGarry House on Alphonsus Street, which is operated by Novas, one of the pillar organisations responsible for tackling Limerick’s heroin scourge. At McGarry House, Novas runs the unique Topple peer overdose programme, in which participants learn how to prevent, respond to and support others experiencing overdoses. Ger was among the first graduates three years ago. When he first experienced a friend suffering a heroin overdose, he “hadn’t a clue” how to respond; he attempted CPR and called for an ambulance. But after completing the Topple programme, Ger is now able to react in a timely manner to save a person’s life in the event of an overdose. Ger is also trained in administering naloxone, the life-saving drug that can stabilise an addict when they overdose. The drug was first piloted in Limerick, in needle format, in 2016. And as of late August, naloxone now comes in a safer, nasal spray. “After the group, the first time I had to respond to an overdose was the same person I had responded to before I was trained. For me, it was almost like redemption here, I was being given a second chance. I know what to do and I know how to do it, I can respond. It’s almost like autopilot. You hear someone screaming help, overdose, and your mind goes: ‘Right, you know how to do this—go!’” Ger says. Looking through the lens of a lifesaver offered a second wake-up call to the father. “I didn’t want to be around overdosing and have people not knowing what to do. Then I thought about how I felt when it happened to this person. That’s how I am making other people feel if it happens to me. I don’t want to put somebody through that,” he explains. Ger is now the face of recovery after the long road to redemption, as he now celebrates a year of having a home of his own in O’Malley Park, where he grew up. He says, with a tinge of hubris, he has not consumed heroin for nearly three years and has been cannabis-free for 12 months, and is already on a prospering pathway in education. Having completed a community addiction studies course in May, he is now doing a certificate in addiction studies, as part of a journey to earn a diploma in the same subject at University of Limerick in 2019. His drug now is perusing the vastness of the internet, researching and understanding addiction and “just to understand how did I fall into that trap”. As our 20-minute conversation comes to a close, Ger’s face reveals a proud man, proud to have jumped countless hurdles in order to return as a survivor so he can provide for his children.